Let’s talk about Junk Bonds. Junk Bonds are corporate debt issued by companies that have a significant chance of defaulting (meaning they don’t pay you back). Why would anyone want to lend these companies money? Because these bonds are risky, they typically pay very large yields to compensate for the increased risk. Think yields of 8% or even 10%. Put simply, these are high risk, high reward bonds. They typically rally more than safer bonds when the bond market is healthy… and conversely, they typically crash a lot harder when the bond market is in trouble. The Junk Bond Index is beginning to roll over. As I write this, it’s right at THE line for its two-year bull-market run. 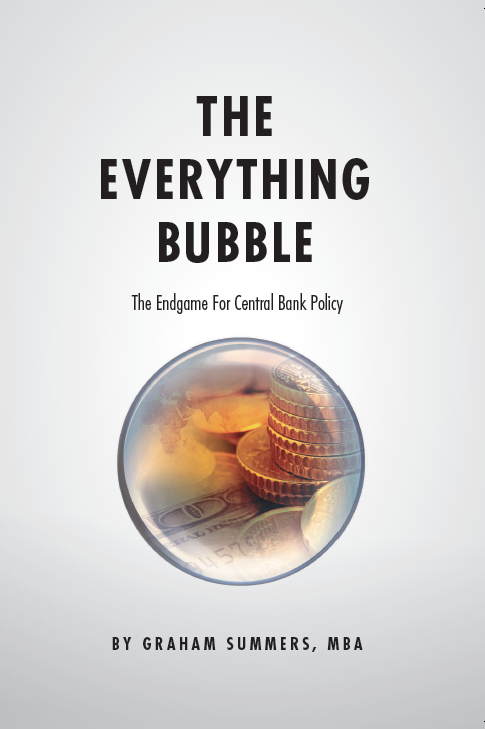 This is a MAJOR warning that the bond market is beginning to enter a “risk-off” stage. 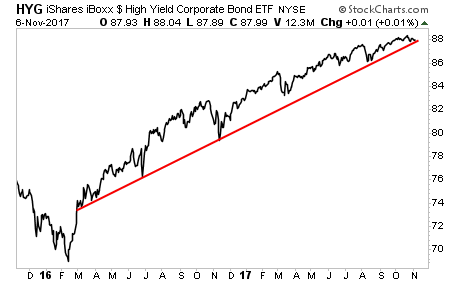 If we take out this line, Junk Bonds will be in very serious trouble. What could be triggering this? As I’ve explained time and again, bonds trade based on inflation expectations among other things. 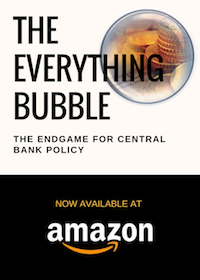 So to see Junk Bonds starting to roll over (meaning Junk Bond yields are rising) “tells” us that the riskiest segment of the bond market is beginning to adjust to the future threat of inflation. 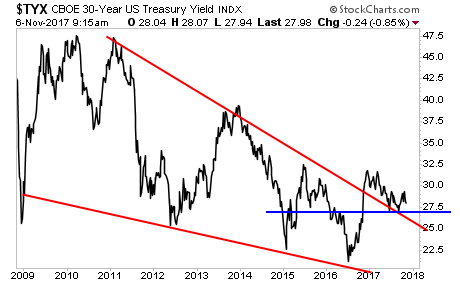 The yields on the 10-Year US Treasury are beginning to rise as well, breaking a multi-year downtrend. Remember, this is the single most important bond in the world. And it’s signalling that inflation is on the rise.